A few weeks ago the European Union was accused of causing an "earthquake" for Israel. This may, however, have been the shortest seismic event recorded in history. For EU officials have already resumed their habitual activity of humoring an apartheid state. Friday 19 July was an especially busy day for the Union's officials. They attracted a great deal of attention for issuing new guidelines declaring that Israeli firms and institutions based in the occupied West Bank (including East Jerusalem) were not eligible for EU grants. The controversy overshadowed another announcement they made that same day about how they were lending a helping hand to young scientists. Hoping to prove that it could withstand earthquakes, the EU's embassy in Tel Aviv tried to publicize how 32 of these clever researchers were Israeli. When news of the "earthquake" guidelines leaked, some commentators predicted that the Hebrew University would be barred from receiving EU science grants. An advice sheet prepared by the Union's diplomats told Israelis not to fret. According to the advice sheet, the Hebrew University will still be able to receive EU subsidies provided they are for activities carried out within what the EU regards as Israel (and that includes Mount Scopus). Nonetheless, the sheet hints that some activities undertaken elsewhere in East Jerusalem and the wider West Bank may be funded if they aim "to promote the Middle East peace process in line with EU policy." Privately, Brussels officials brag of how some research projects they support foster cooperation between Arabs and Jews. Many Palestinians view such excuses as quite pathetic because they "normalize" a fundamentally unjust situation. But the EU is so determined to support John Kerry's latest charade of "peace" talks that it may well start approving more normalization schemes. Not surprisingly, the EU's diplomats also glossed over how the beneficiaries of their munificence enjoy strong links to Israel's military industry. Ten of the 32 Israeli researchers recently awarded EU grants work with the Weizmann Institute of Science in Rehovot. Michael Federmann, chairperson of the leading Israeli weapons company Elbit, has sat on the boards of both the Weizmann Institute and the Hebrew University. According to freshly published data, Israel has now drawn down almost €637 million ($845 million) from the EU's current multi-annual program for scientific research (running from 2007 until the end of this year). This figure relates to the amount that Israeli firms and institutions have directly received, not to the total value of joint EU-Israel research. The European Commission has previously stated that the amount spent on EU-Israel research under its current program exceeds €4 billion ($5.3 billion). As that program is drawing to a close, the Commission has been trying lately to highlight some of its success stories. During May, it held a conference in Madrid focused on the largest scheme it is funding under the heading "security research." Known by the acronym SECUR-ED, this transport safety project has several Israeli participants. One of them is called MTRS3, which claims to have an "expert knowledge of explosive materials." After digging a little, I found out that the firm's point man for that project is Gilad Rafaeli, its vice-president. Rafaeli has posted his resumé on LinkedIn; it says that he worked on the "Jerusalem light rail" project between 2006 and 2011. The entire purpose of that tramway is to provide a link between Israeli settlements in East Jerusalem and the city's center. It was always intended as an important part of the infrastructure of the Israeli occupation. And because it serves exclusively Jewish colonies, it can clearly be viewed as an apartheid service. •First published by The Electronic Intifada, 31 July 2013. Last week was no exception. Fascinated by an apparent bust-up between Israel and the European Union, most Middle East analysts (myself included) missed a very important story: Britain's arms sales to Israel are far higher than David Cameron's government has previously confessed. This data was supplied by Vince Cable, Britain's business secretary, who oversees the weapons trade. Because I was puzzled by the huge discrepancy between all these statistics, I asked Vince Cable's department to help me out. I didn't get a clear answer. But a spokesperson speculated that the gap could be explained by how the yearly figures may not cover equipment that "hasn't been shipped out yet." The latest data, on the other hand, could relate to licenses that have been "granted but not fully executed," the spokesperson added. A more plausible explanation, in my view, is that the British government -- both under Cameron and his Labour Party predecessors, Gordon Brown and Tony Blair -- has been dishonest about the full scale of its weapons sales to Israel. Pressure from some diligent members of Parliament might have finally led Cable to provide them with more comprehensive figures. The Commons' report doesn't go into much detail about the type of military equipment involved. It is telling, nonetheless, that the largest single deal itemized for Israel involved more than £7.7 billion worth of cryptographic technology. As far as I can see, there is no accompanying information about this contract -- not even a date for when it was rubber-stamped. But anyone familiar with the nature of the Israeli economy should be able to make an educated guess about what is going on. Israel has exploited the opportunities afforded by occupying the land of another people in order to develop a world-class "homeland security" sector. Israel's drones are the best-known example of innovations routinely "battle-tested" -- a term favored by arms traders -- on Palestinian civilians. Britain, it seems, is providing cartloads of sophisticated material to Israeli entrepreneurs intent on perpetuating the crimes of apartheid and occupation. If I'm wide of the mark, then I challenge Cable to spell out what exactly he and his predecessors have approved. Despite the large sums involved, this new data does not give the full picture about military cooperation with Israel. Exports of components from Britain to America's weapons industry are excluded, as far as I can tell, even though there's a strong chance they will end up in Israeli hands. Nor does the new data deal with how Britain is an important customer for Israeli weapons. Elbit, a leading Israeli warplane manufacturer, is assembling a series of drones for use by the British Army under the £700 million Watchkeeper program. Elbit is among the Israeli companies scheduled to take part in the world's largest weapons fair in London this September. Britain's foreign ministry has named Israel as one of 27 "countries of concern" for human rights abuses. Of those 27, Israel is the largest destination for British arms exports. Saudi Arabia -- long thought to be the biggest client for Britain's weapons industry -- is actually in second place. The brazen effrontery of the British establishment was on display again today, when it convinced other EU governments to blacklist Hizballah as a "terrorist" organization. The move was taken at the behest of Israel, which alleges that Hizballah was behind a bombing in Bulgaria last year. The EU has been willing to swallow Israel's version of events -- even though the Union's own police agency Europol has acknowledged there is no proof of Hizballah's involvement. Reports of a major rift between the EU and Israel -- as many a headline indicated last week -- are, therefore, exaggerated. Without question, Hizballah has done things that can be considered criminal -- especially in Syria. Yet there would be no Hizballah if it wasn't for Israeli aggression towards Lebanon. 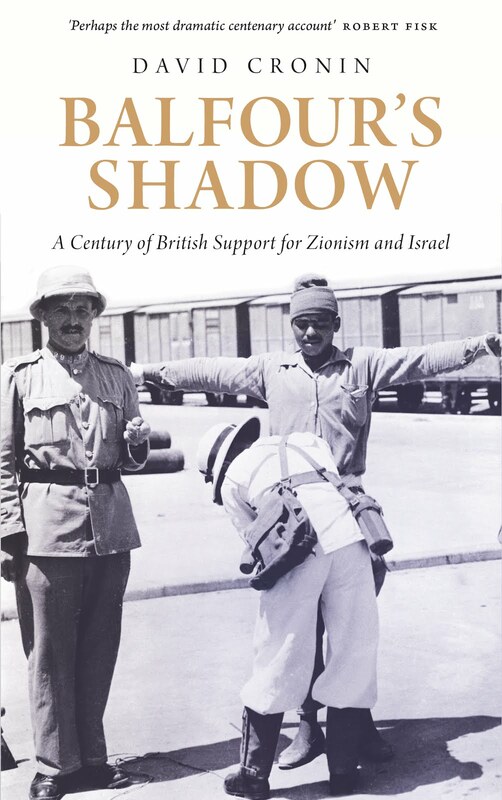 It was Britain's political establishment which "gifted" Palestine to the Zionist movement in 1917. All these years later, Britain is arming Israel to the teeth. •First published by The Electronic Intifada, 22 July 2013. Propaganda is easy. Use touchy-feely words like "human rights" to sell wars. Claim to cherish "values". Demonise your enemies; ignore the crimes of your allies. Don't be afraid to lie. The greatest innovation that William Hague has brought to the dark art of spin is that he has mastered it in a Yorkshire accent. The West must "be prepared to do more to save lives" in Syria, Britain's foreign secretary said recently. Hague's preferred method of saving lives is to arm one side in a civil war. Why should be we sceptical of the erudite statesman? In 1916, Britain and France negotiated a secret deal on carving up the Middle East between them. Splotches of blue and red were applied to a map, designating which territories should "belong" to each power. "In the blue area France, and in the red area Great Britain, shall be allowed to establish such direct or indirect administration or control as they desire," stated the Sykes-Picot accord - as the deal became known. Almost a century later Hague and his French counterpart Laurent Fabius appear determined to oust Bashar al-Assad. There can be little doubt that Assad is responsible for atrocities. But is that really why strategists in London, Paris and Washington want him removed? One year after Sykes-Picot, the US President Woodrow Wilson declared that a war was necessary for the world to be "made safe for democracy". Ordinary Syrians know a thing or two about the West's commitment to democracy. Syria achieved independence in 1946; it was supposed to be a parliamentary republic. In 1949, the CIA orchestrated a coup in order to put Husni al-Zaim in power. Declassified documents indicate that the US regarded the colonel as a "likeable rogue". Bashar al-Assad was also viewed as a likeable rogue by some Western elitists. In February 2011, Vogue magazine published a feature eulogising Bashar and his wife Asma. As well as leading the "safest country in the Middle East", the couple wanted Syria to be treated as a brand, the feature informed us. Assad had spent much of the preceding decade undergoing a makeover to woo foreign multinationals. His Baath party had been in favour of central planning but in 2005 it decided to move towards a "social market economy", a euphemism for letting major corporations run the show. To stress its approval for this neoliberal shift, most EU governments were prepared to overlook Assad's penchant for imprisoning opponents and conclude a "free trade" deal with him. (The accord didn't come into effect, mainly because of opposition from the Netherlands). The EU was more favourably disposed towards Assad than the US. While George W Bush was initially able to co-opt Assad for the "war on terror", the White House eventually succumbed to pressure from Congress and signed a bill imposing economic sanctions on Syria in 2003. The editors at Vogue may have forgotten to consult their in-house astrologers before publishing that inauspicious article. Soon after it hit the shelves, Assad's forces were suppressing popular protests against him. Brand Syria had turned toxic. Assad is now clearly perceived as a liability by Britain, France and the US. So much so that they are preparing to arm groups which we are enjoined to call "rebels". Under different circumstances, the "rebels" would be labelled "terrorists". The Free Syrian Army has reportedly opened fire inside a hospital serving Yarmouk, a camp for Palestinian refugees in Damascus. These "rebels" are the most probable recipients of Western weapons. Indeed, they are already well-armed, thanks largely to Saudi Arabia. The Saudi royal family is a client state of the US and a prized customer of Britain's war industry. Could that explain why the West is happy to tacitly applaud the Saudis for abetting war crimes? Susan Rice, the outgoing American ambassador to the UN, described the Security Council's "inaction" on Syria as "a moral and strategic disgrace". Her attempt to put a moral gloss on American foreign policy was risible. The same Susan Rice acted as Israel's lapdog. Among those attacked by Israel in November last year were Palestinian refugees who had fled from Syria to Gaza. Rice supported that patently immoral attack. As it happens, the permanent members of the Security Council have not been guilty of inaction. One of them, Russia, has shamefully kept on sending arms to Assad. Three others, Britain, France and the US, have been training Syrian "rebels" in Jordan. NATO, for its part, has provocatively placed a number of missile interceptors near Turkey's border with Syria. These are in addition to the military bases that America, the dominant country in NATO, has established in Turkey. For all their talk about wanting to protect lives, the imperial powers' only real objective in Syria is protecting their interests. Not for the first time, they are determined to ensure that Damascus is ruled by someone who answers to Western orders. There is a nasty sectarian aspect to Syria's civil war. Like the invasion of Iraq, it has exacerbated tensions between Sunni and Shia Muslims. Moreover, the conflict has not stayed within Syria; it has spilled over into Lebanon. Israel has got involved, perhaps as a test run for an attack on Iran. Shovelling fresh weapons into this civil war is flagrantly irresponsible. In their arrogance, the West's imperialists are prepared to play with fire, if it means that they can keep the Middle East under their control. •First published by New Europe, 30 June-6 July 2013.